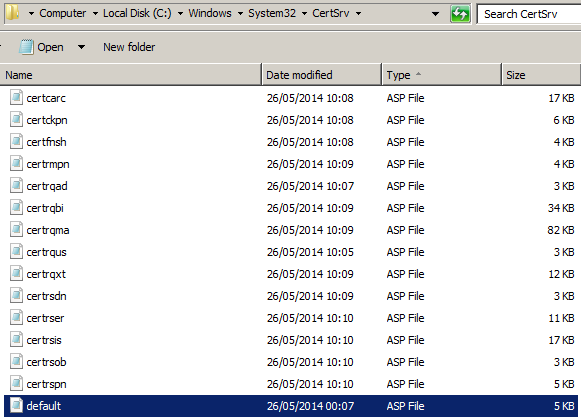 - using the ‘Add Role Services’ wizard and default selections, to install the ‘Web Server (IIS)’ role and required services. 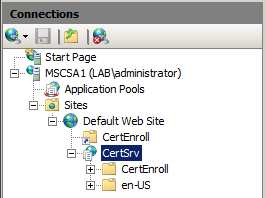 In ‘Internet Information Services (IIS) Manager’ we see the web application ‘CertSrv’ and virtual directories - ‘CertEnroll’ and ‘en-US’. The fix came from a comment by Rexif in this Microsoft Technet Forum Question - thanks Rexif (or should I say Fixer...) Essentially - for some reason - the install has put the code in the wrong directory! 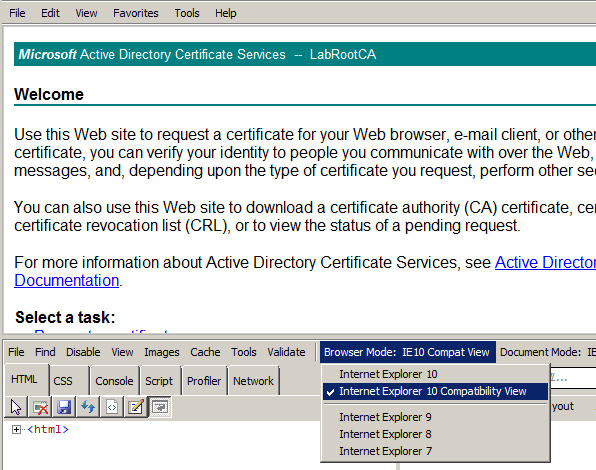 This Web browser does not support the generation of certificate requests. If so then, from the Tools menu, click on ‘F12 developer tools’. Now the AD CS CA Web Enrollment site works! THE END ... not quite! The above gets http://localhost/certsrv working (it uses the default.asp which we’ve edited), unfortunately, to get the whole site to work, every ASP file has got to be edited similarly. Sort the contents of C:\Windows\System32\CertSrv by type, and make the change to the FILE path for certdat.inc in each file. also need to be edited, or you will have issues downloading the certificate.